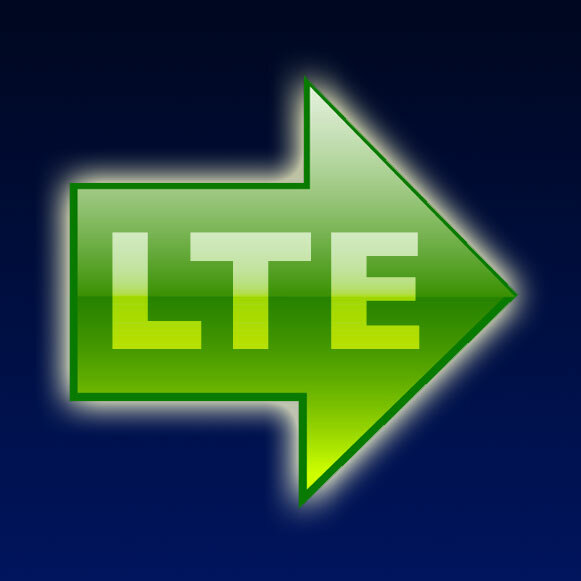 China recently allocated TD LTE licenses to its carriers on the 2300MHz band. This is a significant event in the technology life cycle of LTE as TD LTE develops as mainstream standard and is set to massify on the global scale. The debate between TD and FD LTE has hovered around the lines of GSM versus CDMA and the emergence of one technology as the dominant standard. However, with technology and eco-system maturities, TD LTE emergence alongside FD LTE is now seen as a complementing effort and effect. This would create technology inter-operability between TD and FD LTE. Why is the China LTE launch key to LTE eco-system world over? China LTE implementation is all about scale – China Mobile for instance has deployed 200K BTSs for the LTE pilot covering 500 million people initially. That’s the size of the whole of Europe put together. The number of 4G base stations is expected to increase to 500K by the end of 2014. In addition, China Mobile is set to offer more than 200 different 4G-compatible handsets this year, including a handset priced at CNY 1,000 ($165) and a number of self-branded 4G devices. Apple’s iPhone portfolio has also recently been made available to China Mobile customers. Similarly, China Telecom plans to launch entry-level 4G smartphones at similar prices to its rival in the first half of the year before introducing mid-range and high-end models before year-end. By this time it expects to have 60,000 4G base stations. In contrast, China Unicom confirmed in December 2013 that although it has been issued a licence for TD-LTE (like its rivals), but it remains focused on running the majority of its 4G network via FDD-LTE – for which it is yet to receive a license. It is likely we will see a rather slower start to the 4G era for China Unicom. With such large-scale rollouts underway, China Mobile and China Telecom will have the fastest initial 4G migration rates seen outside of South Korea, with close to 10% of their combined total connections migrating to 4G by the end of this year. According to new GSMA Intelligence, take-up of 4G-LTE in China will happen twice as fast as the earlier move to 3G HSPA networks. By contrast, it took twice as long for China Mobile and China Telecom to migrate their 2G customers (on GSM and CDMA2000 1x networks, respectively) on their 3G networks (TD-SCDMA and CDMA2000 EV-DO) following launch. For example, it took China Mobile 14 quarters to migrate 10% of its 2G connections base to 3G, but it will take approximately half that time to reach the same milestone in the move from 3G to 4G. Subscribers are estimated at 900 million 4G connections in the China by the end of 2020, up from around 100 million this year. It is important to note that FDD and TDD LTE are two flavours of what is essentially the same standard, marking a different situation to when two technology standards (GSM/HSPA and CDMA) were competing for 2G and 3G hegemony. The availability of dual-mode FDD-TDD chipsets help mobile operators running either LTE variant to offer a wider choice of attractive 4G devices. Device manufacturers can therefore generate greater economies of scale given that dual-mode FDD-TDD chipsets remove the need to create multiple variants, serving to lower costs. Currently TD LTE accounts just over one in 40 LTE connections globally. However, China Mobile, China Telecom, Reliance Jio and Airtel could alter these TD LTE subscriber numbers by a wide margin. Even though there could be more instances of FD LTE launches by operators, number of subs on TD LTE networks could outweigh those on FD networks. Aircel and Bharti Airtel are believed to be targeting the enterprise segment. 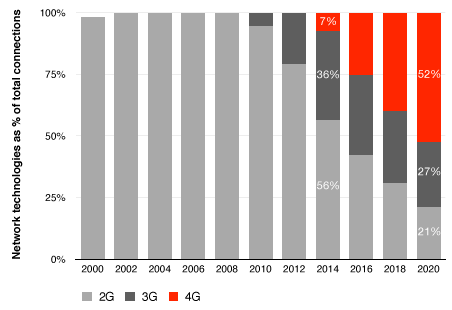 While the enterprise segment are the biggest in terms of data usage, the success of LTE will depend on the fact that there has to be a compelling reason for large enterprises to move to LTE network.Initial traction on Data services will depend on how well the vertical applications are engineered for key industry verticals. Verticals like healthcare and banking, which have to be always-on are likely to be the early adopters of LTE, provided applications are developed around them. In case this happens, it might be possible to expect a much higher ARPU from LTE. Having said that, going by the 3G experience, it is quite clear that price is going to be a critical factor (if not the deciding factor!) for the uptake of BWA services. Further to this, the government needs to put in place a telecom policy that could be instrumental in regulatory guidance and support which would impact faster roll-outs of the services at reasonable tariffs. Unlike 3G auction mechanism, where spectrum licences were bought by operators had extremely high bids leaving precious little CAPEX for network roll outs and resulting in high and unreasonable tariffs (for recovery of investment), government needs to play a more inclusive role in successful 4G LTE roll outs. In the 3G auction case, the only winner was the government who made a handsome lot through the bidding process. This time, the government could keep the bids controlled, lease the spectrum, sponsor the networks infrastructure (or cost share) and foster network infrastructure sharing arrangements between the service providers. This would leave a pool for the Telecom sector where investments could be made into value added ancillary services which would promote usage of the network. Besides enterprise segments, some operators might also be looking at the rural market initially for LTE services. Experts believe that it will be sometime before Indian operators expect returns from this new service. They might have made huge investments, but right now it is unclear as to how long the investment will take to make profit. This post is the first of a two part series on the scenario around LTE network deployments in India. Ten years of trailblazing performances and more, the Indian Telecom story needs a new super hero. This is necessitated by the demands of the bandwidth starved data hungry customers are placing an inordinate amount of pressure on the spectrum. 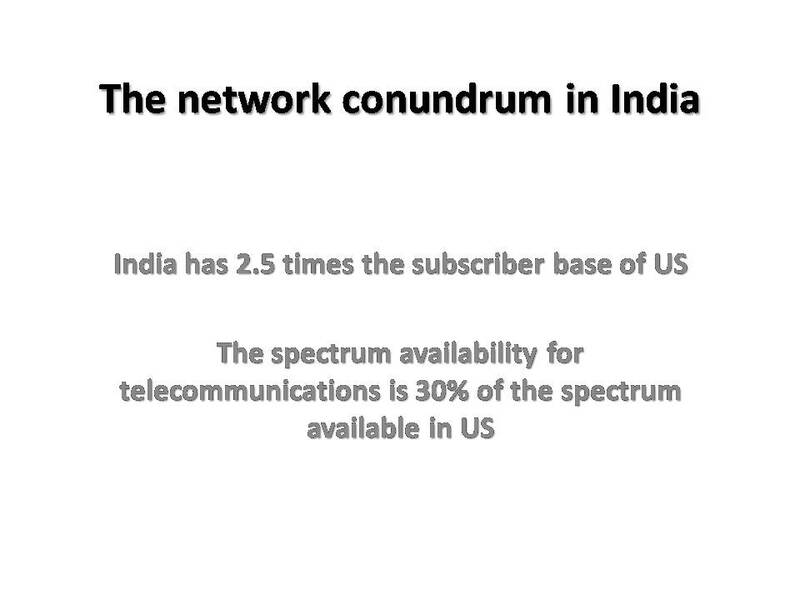 The Indian government has been instrumental and forward planning to meet the challenges of increased data bandwidths. That is where 4G LTE services hold out a promise to provide super speed technology on high bandwidth spectrum. Despite the initial success in field trials, a key question facing the operators is the financial viability and the unclear business models surrounding this emerging technology. Though the industry remains gung-ho about the potential of LTE TDD, it is imperative that the industry evaluates certain critical factors to decide on the business case of the technology. Of the 160 million broadband connections expected by the end of 2014, a good percentage is to come from LTE services which is expected to drive 60 per cent of next level mobile broadband growth. 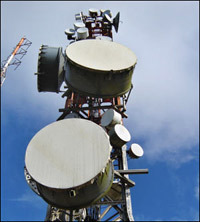 However, post the lukewarm response to 3G, experts believe that operators need to have a viable business model, clear go-to-market strategy and a marketing campaign designed to target specific segments, niches and user segments of the society to make a business case from the soon-to-be launched Long Term Evolution Time Division Duplex (LTE TDD) technology. There has to be a proper strategy in place to make sure that all investment-related decisions (for LTE TDD) are being taken after due consideration. Operators are yet to make 3G a true business case in India, and if proper targets are not set, many operators may find it challenging to survive. Contrarian to the earlier view, analysts also believe, what works in favor of operators in India is the relative lukewarm response to 3G, which leaves a lot of scope for LTE to make headway. However, on the flip-side, discouraging numbers for 3G uptake is likely to have some impact on LTE roll-out as well. If 3G has been unable to set the mobile broadband segment on fire in the country, what is it that LTE would offer which will make customers embrace it. Broadband wireless access, a Rs.40,000 crore dream to offer high speed internet, media streaming and video services to users has been in the horizon for an year now. Inspite of the great big promise, there hasn’t been much that has happened on the BWA space. The eight operators who had invested in BWA, the govt bodies are still searching for solutions and answers in terms of technology, time of rollout and business model, respectively. Most of the operators, after getting the BWA license in June and spectrum in September-October, had said they they would launch the services in the second half of 2011, but it is now believed that operators have deferred the rollout plans to the 1st or 2nd quarter of next year. The isn’t good news for spectrum starved India, in light of the fact that regulatory and legislative bodies are much undecided about the future course of action in Telecom Industry in the country and there are punitive initiatives against a lot of the operators around the 2G spectrum sale and the subsequent revenue loss to the exchequer. 1. Lack of Global Precedents: Over the last one year many operators have announced their interests in LTE and most of them have made some kind of trials and deployments. However, the issue lies that, no operator globally has launched BWA services on TD-LTE. China Mobile which had launched 7 TD-LTE trial tests and provisioned for infrastructure accordingly is said to have deferred the launch of BWA services until 2014. That could have a big setback for the Indian operators who were waiting desperately to look at a case study before they go full steam. 2. Lack of an eco-system:Looking at the Indian scenario, where the spectrum is scarce and the mandate of providing broadband services to the masses is herculean, the need of the hour is to select a technology which is flexible, cost effective and future ready. However, one of the other stumbling blocks to LTE implementation is the lack of a developed ecosystem. Infrastructure companies, Operators, Cloud Service providers, Content owners and licences and other technology vanguards need to stake a claim to the Greenfield that is BWA. It is believed that while China has been the first in terms of conducting trials on TDD-LTE, it would be India which would lead the large scale deployment of the technology. The launch of BWA services on LTE technology has been done through dongles because the product ecosystem for LTE technology is also, yet to be fully developed. 3. Where’s the money? (Lack of a business model): Another big reason for the delay in rollout of BWA services in the country despite of getting permission for last 1 year, seems to be the lack of clarity on the business model. 3G, which had been launched in India by most of the operators, has not seen the success that the industry had anticipated and the flop-show of 3G is definitely be at the back of mind of the BWA players. The 3G license holders have spent close to `68,000 crore on just getting spectrum and must have spent a huge some on laying out the 3G network but so far the operators have failed to roll out services in all of their licensed circles and in most cases 3G has not rapidly augmented data revenues. It has instead served as a complimentary channels for the voice channel. 4. Waiting for Big Brother’s first move:What has also influenced the thought with regards to BWA is the presence of Reliance Industries-the only player to win BWA licences in all 22 circles. It is expected the Reliance will be the first mover in terms of BWA launch and Reliance’s opening move might well set the stage for other operators to follow suit.